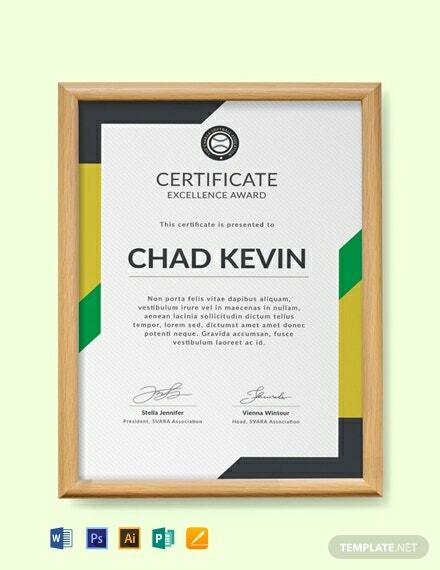 Give out premium certificates for all sorts of achievements and honors made by individuals who participated in sporting events. 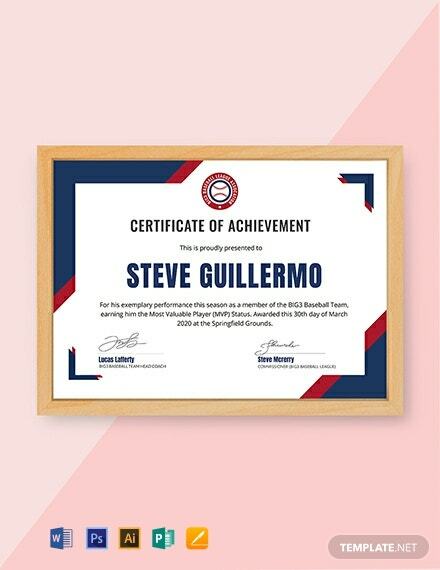 Craft high-quality certificates by choosing from one of our wide variety of professionally designed templates that are perfect to be given during any sporting event. 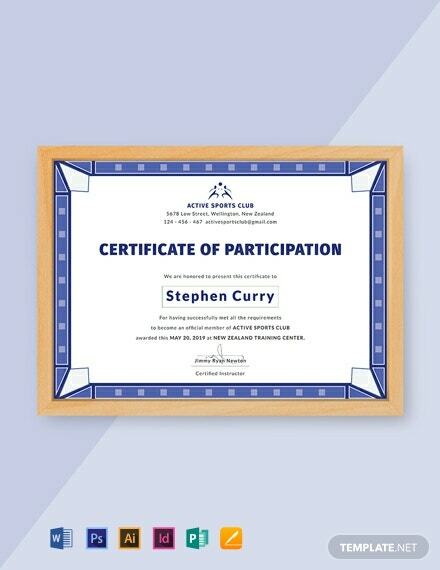 These templates are free to download and ready-made. 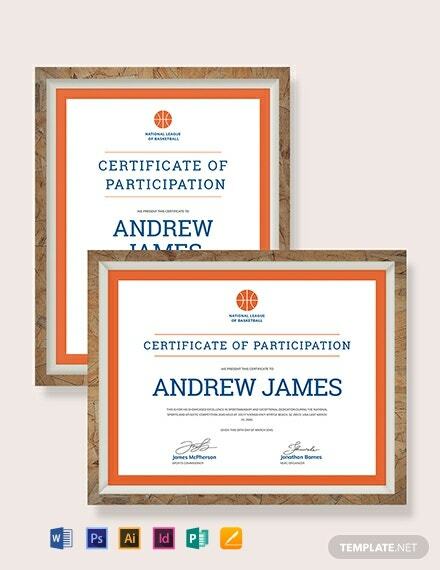 These make use of high-quality layout, artwork, images, and graphic files. Print ready, perfect for commercial as well as personal printing. The file can also be shared digitally. Easily Editable and fully customizable in all versions of Adobe Photoshop (psd), Illustrator (.ai), Indesign, Microsoft Word (.doc), Excel (.xls), Publisher, Apple Pages, Mac & Google Docs. 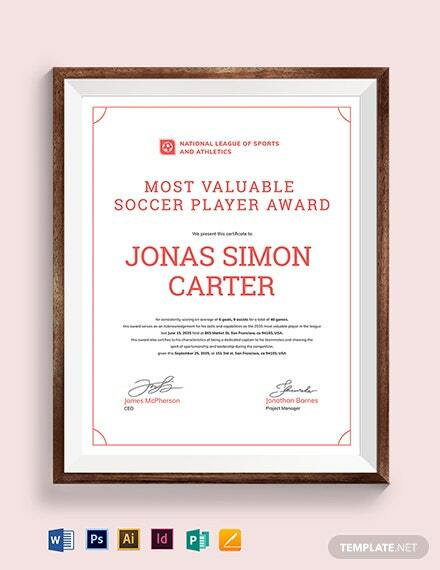 There are not enough events, movies, or television shows to inform people just how much people put into celebrating sports and fitness, and for good reason: Sports activities often increase endurance and strength, and these activities provide a lot of benefits to their participants. 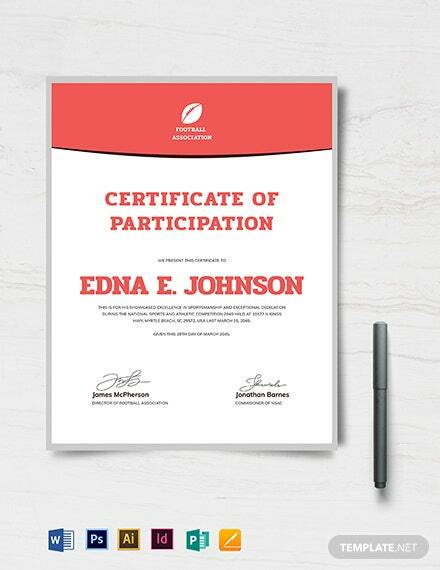 Sports and fitness can be acknowledged in the form of certificates, which can be a perk for children and athletes regarding the completion of their sporting activities and endeavors. 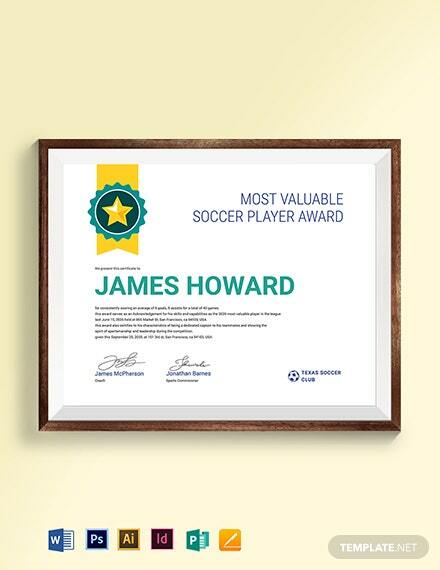 Whether it is for little league or for bigger sporting events and activities, sports certificates can be useful for college admissions, especially if a student is looking to enter a sporting program or applying for a sports-related scholarship. 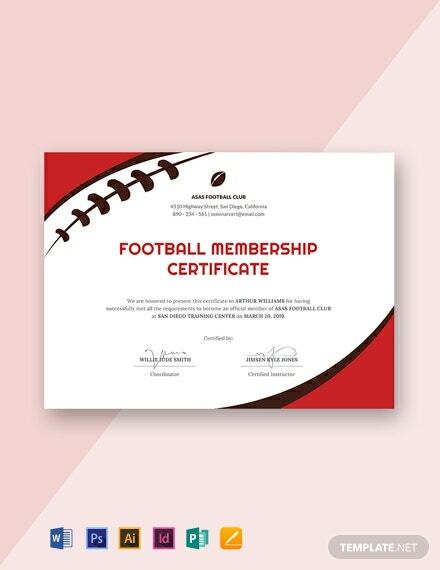 For instance, state level certificates have their own value, especially when considering the sports quota admissions in certain universities and colleges. 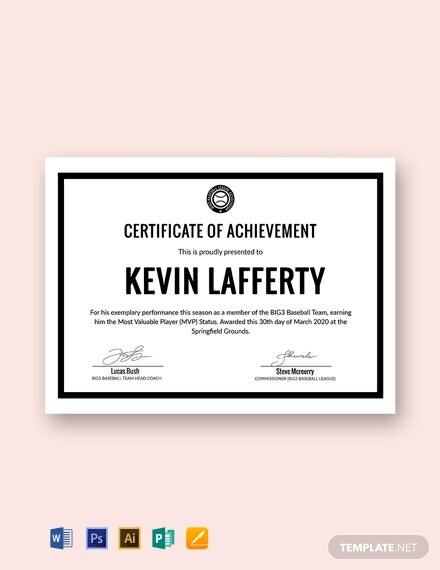 Ready made certificates are not only cost-effective, they are also very easy to make, especially if you have a template to follow. 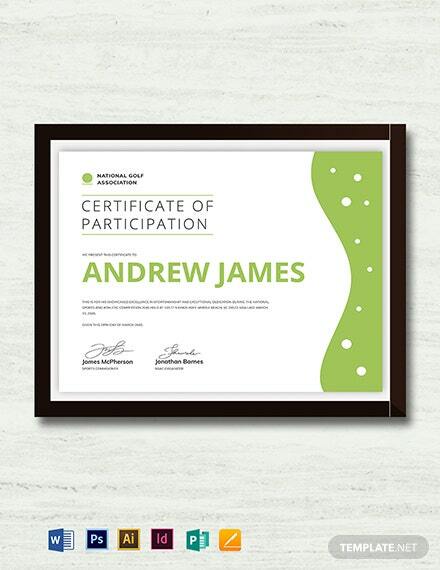 Most certificates can be printed on your own home or office computer, especially if there is no need to mass produce them. Despite the low costs of production, however, those who do receive them get a certain sense of pride and a boost in morale. 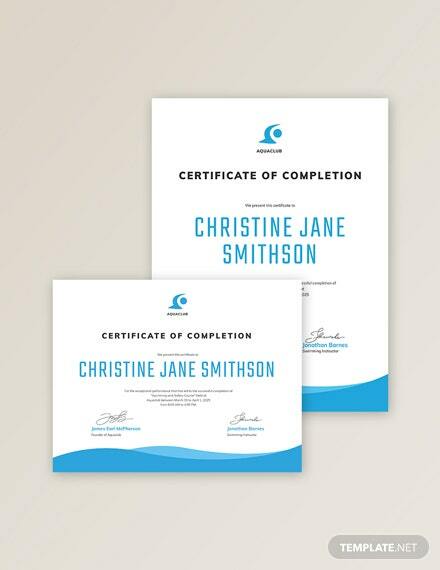 Much like any other certificate, sports certificates are unique to its awarding body. 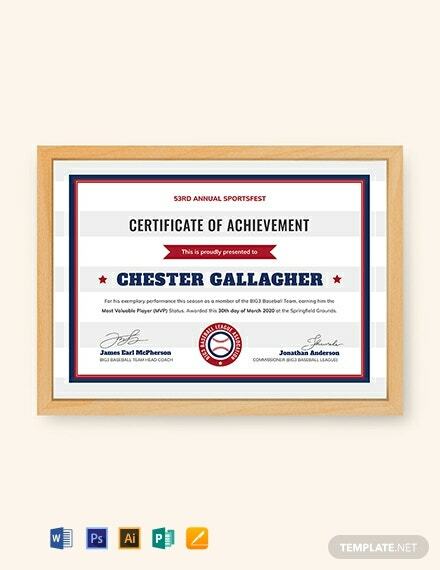 Yet, designing a unique certificate can be overwhelming, especially when made from scratch. 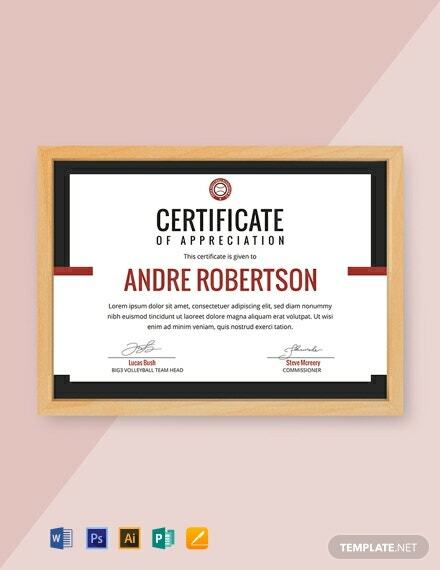 Fortunately, Template.net has numerous, fully customizable templates in premium designs that are immediately available for use, each of which is available in multiple file formats to ensure compatibility with any OS system, and a printable quality you will love. 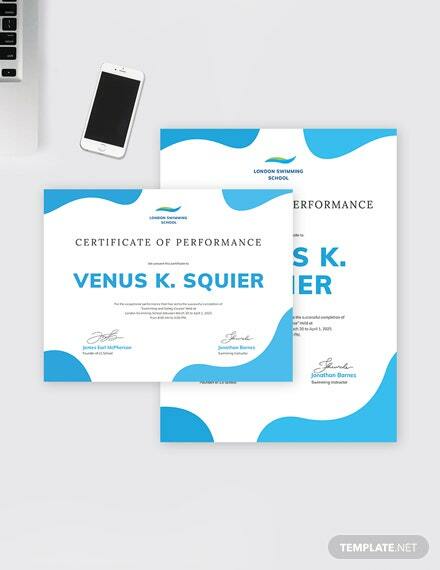 The downloads are also made to be available in high quality images and graphics with beautiful 300 dpi resolution to ensure that they retain their quality online as well as in print. 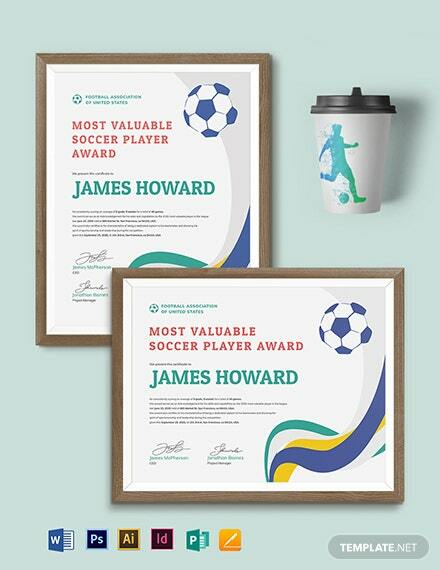 Make the most of your company’s sports certificate, with strong designs and attractive overall look which can be made immediately available for your use. 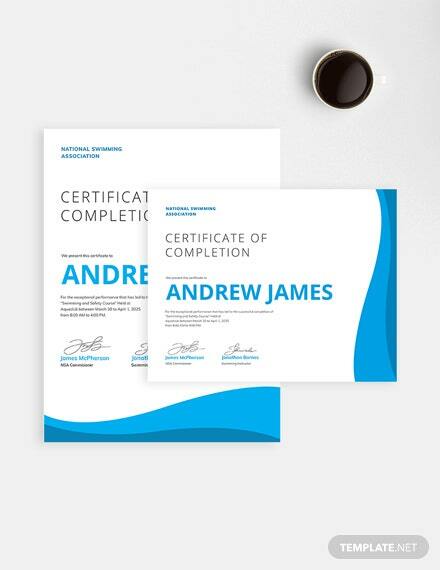 So feel free to take a look at Template.net’s vast library of downloadable and editable templates to find the perfect training certificate for your company’s use.